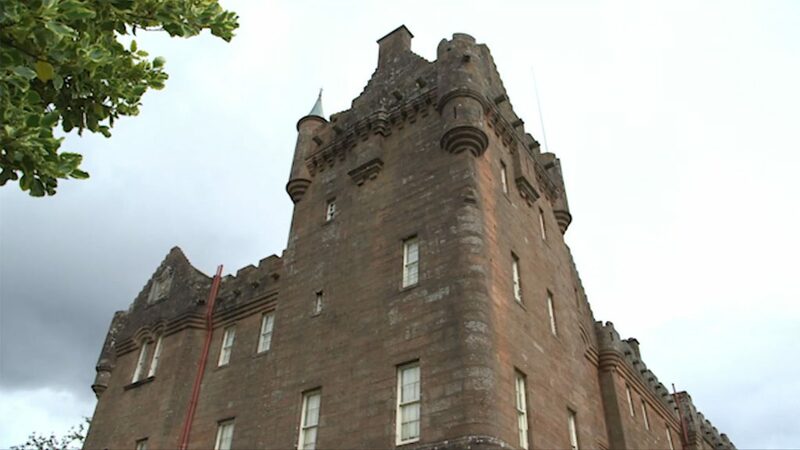 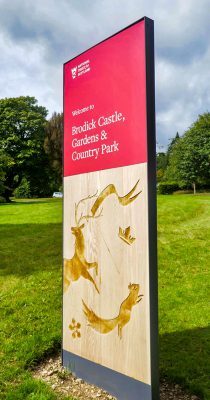 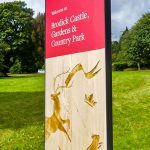 Brodick Castle and Gardens is a much loved and important visitor attraction on Arran, an island located just off the West Coast of Scotland. The castle and gardens is undergoing a full refurbishment designed to protect its priceless collection of Silver and paintings and a children’s adventure playground is being installed to attract more families and visitors to this popular holiday island. 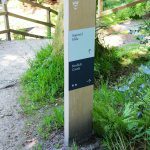 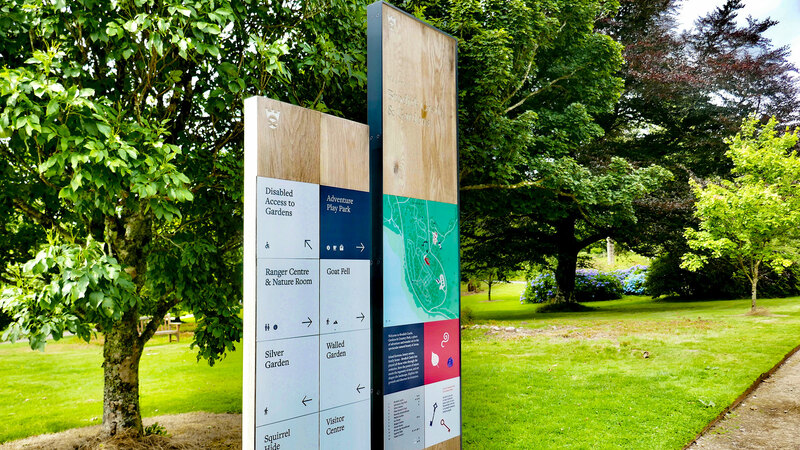 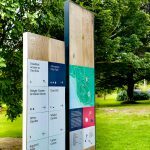 EVM designed and manufactured all the Wayfinding system components and worked closely with the design team to ensure their vision for the system was realised. 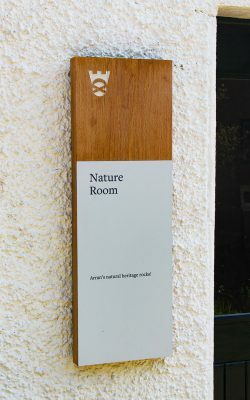 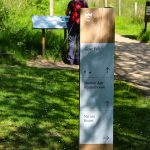 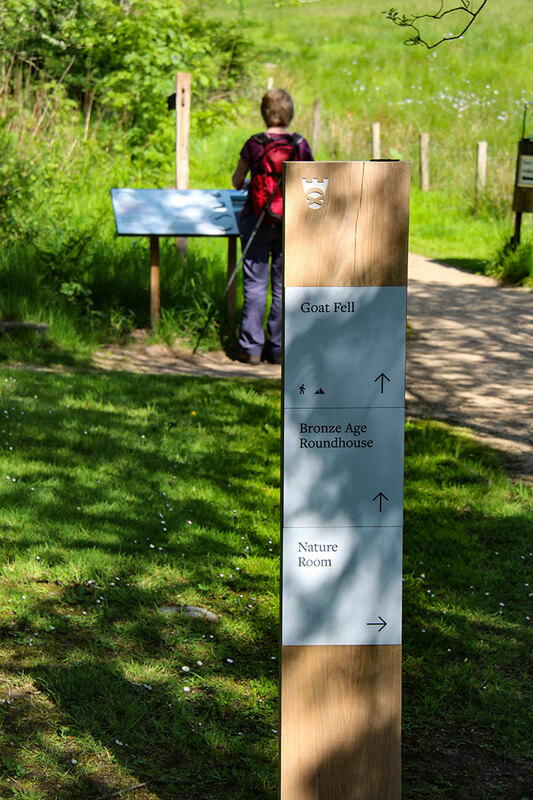 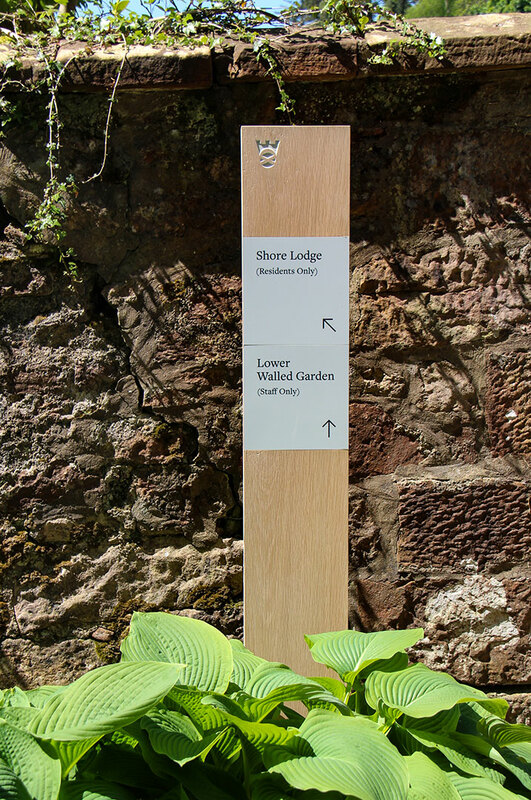 The position of the Wayfinding signs throughout the site was critical since the site has a long history with significant archaeological provenance. 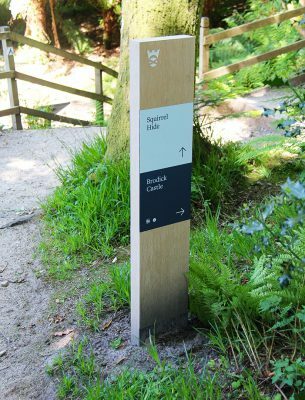 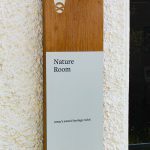 For sustainability, EVM used solid Oak as well as powder-coated steel in the manufacture. 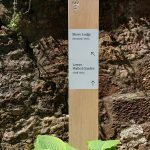 Since the island is very close to the sea careful consideration of robust materials was an essential part of the brief due to the impact of climatic erosion. 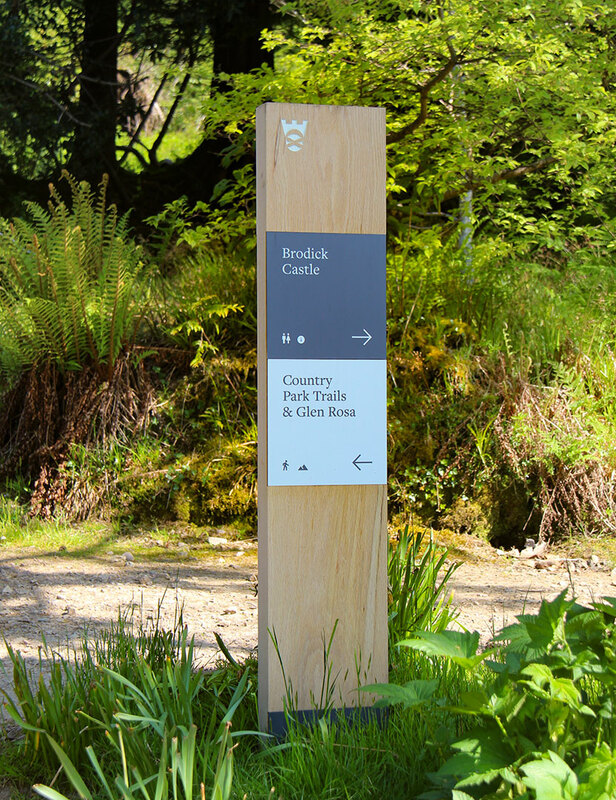 High resolution, UV cured, direct to substrate printing to aluminium was used to capture the fine detail in maps and illustrations used on the signs. 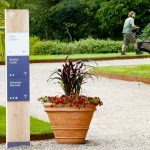 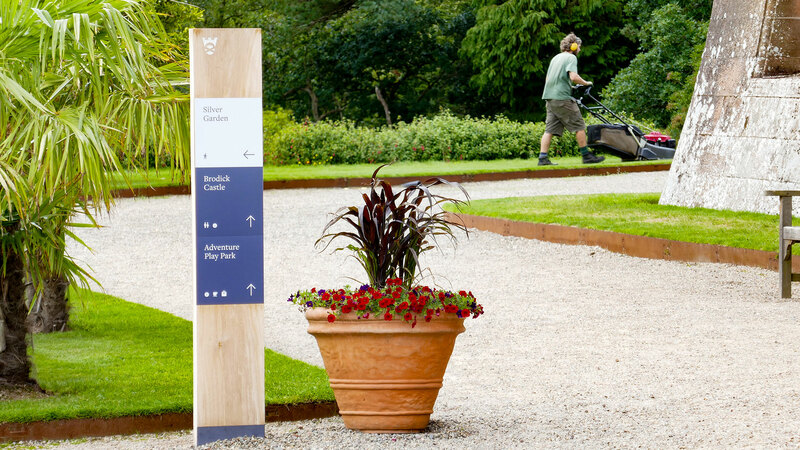 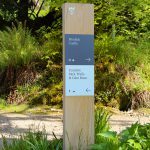 EVM managed all transport and logistics on behalf of the Trust and carried out significant site planning and test digging before the Wayfinding system was installed in Spring 2018.